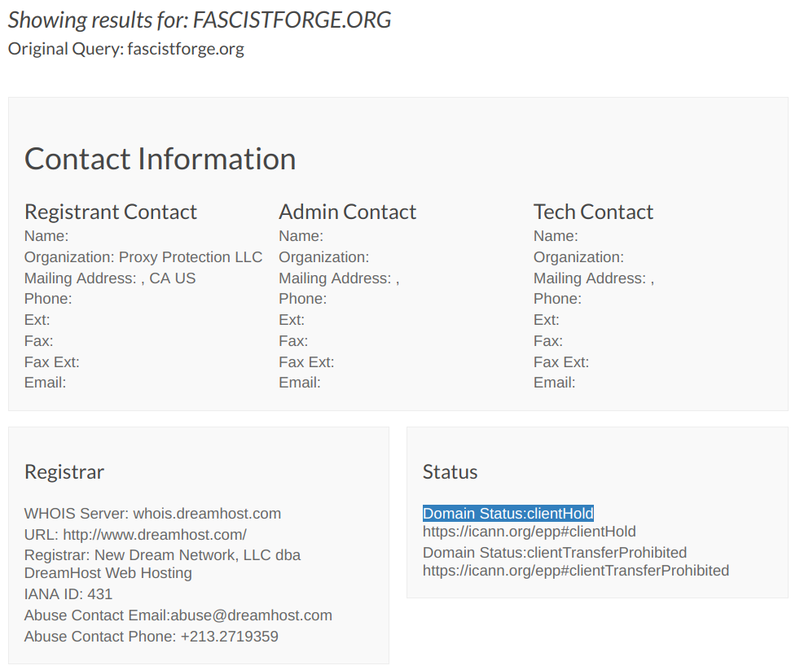 On February 15, VICE reported that Fascist Forge, an online hub for potentially violent fascists, was taken down by its domain name registrar on Tuesday. 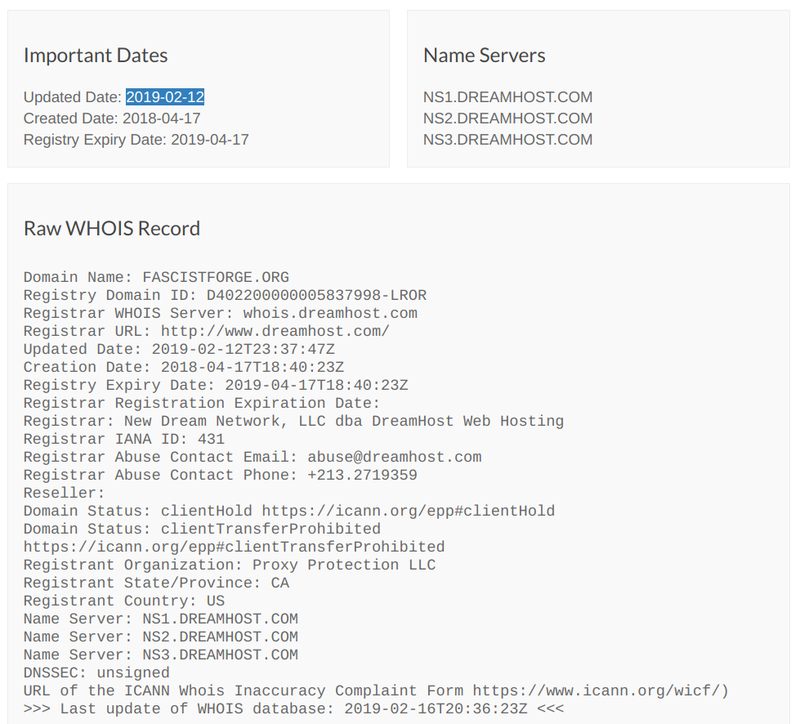 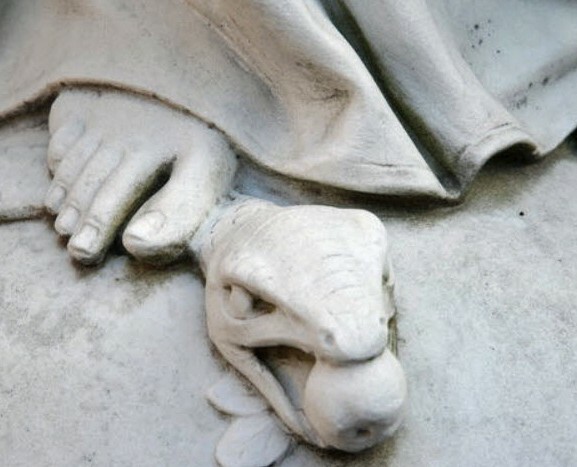 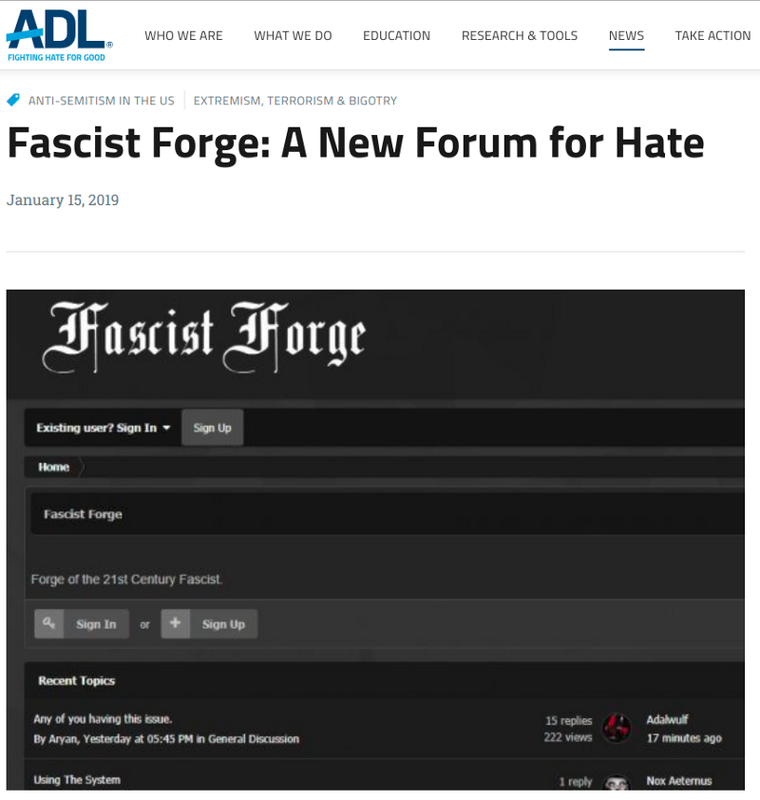 The forum’s fate is similar to that of other racist websites: After the disastrous 2017 Unite the Right rally in Charlottesville, Virginia, The Daily Stormer and Stormfront were placed in clientHold status, albeit temporarily, by their former domain name registrars, Google and Network Solutions, respectively. 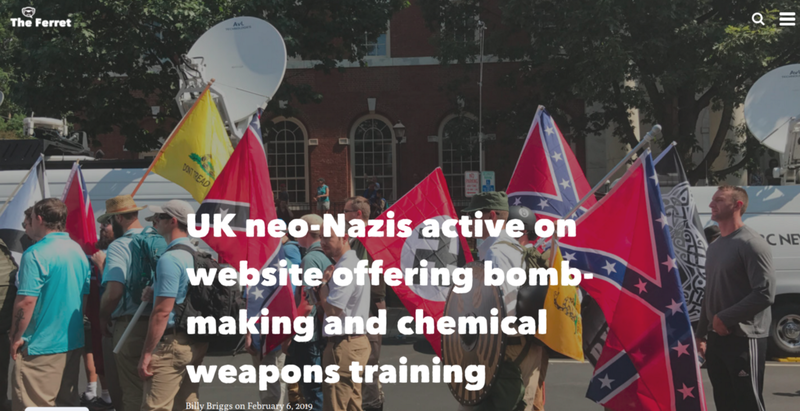 As Lamoureux noted, the news comes after various organizations and journalists reported on Fascist Forge, including VICE, the Anti-Defamation League, the Southern Poverty Law Center, and American Odyssey back in September 2018. 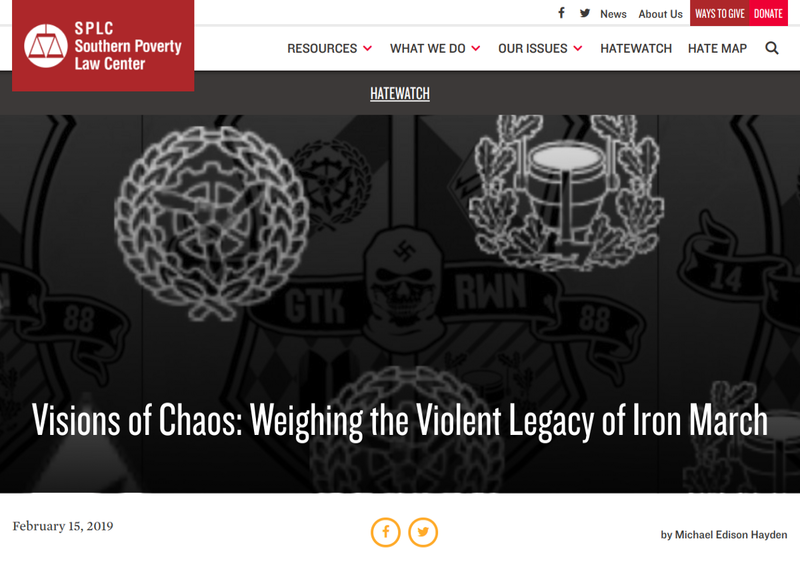 Screenshots of recent pieces on Fascist Forge.